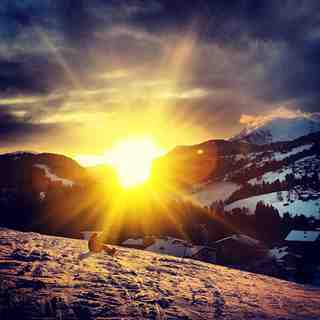 Sta nevicando in Les Gets ?Grazie! 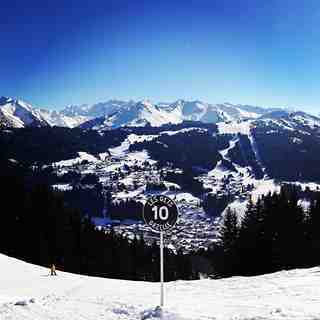 Les Gets is a small, friendly resort that offers a good mix of slopes in its own right. 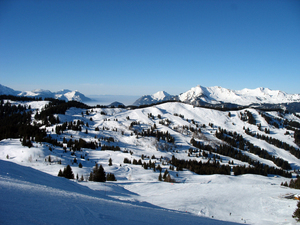 However, Les Gets is part of the Portes du Soleil ski area (in the Haute Savoie region) which is huge. This will keep everyone happy and you can village hop for lunch. 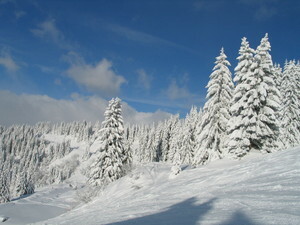 In total, there are over 650 km of piste to explore. 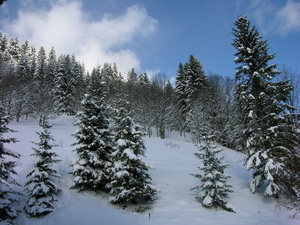 However, it must be noted that this area lies on the fringe of the Alps at a lower elevation than most resorts. As a consequence, snow cannot be guaranteed and the season is somewhat shorter. The town is partly car free and traditional in style. There are plenty of places to eat and drink and the party can continue late into the night, if desired. Les Gets has 66 groomed trails that can be accessed by using the 52 lifts; 5 of these are gondolas. 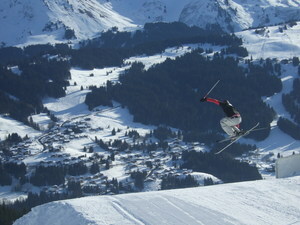 There is a terrain park at Les Gets and cross country skiing over 12 kms. Les Gets has opened a couple of ski lifts at present and plan to open more from around the 29th/30th December depending on the snowfall which is due tomorrow. It might be worth reviewing another's comment that Les Gets 'never fails to disappoint' i.e. It's always rubbish! I think he's trying to say 'it always meets expectations'.